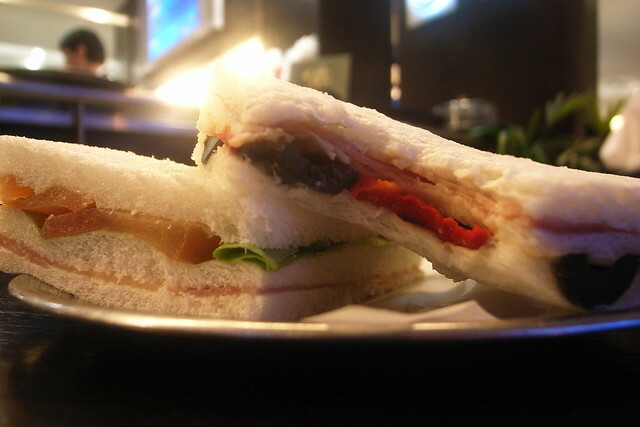 Sandwiches de miga are typical sandwiches eaten usually at social gatherings and as afternoon snacks. They probably originated from the Italian Tremezzino sandwiches and are made up of either two or three layers (known as dobles or triples) of thin crustless bread (or miga) and a variety of fillings which may include different combinations of ham and cheese, heart of palms, pineapple, anchovies, eggs, blue cheese, olives and more. The famous tostado is a grilled ham and cheese miga sandwich that is usually served in city cafes. Otherwise, a broad variety of these local delicacies are sold in bakeries at a very reasonable price or at traditional cafes like Tortoni and Las Violetas. A great place to try them in Palermo is in Santa Paula bakery (Scalabrini Ortiz 3154, Palermo). This entry was posted in Food & Drink and tagged argentina, bakeries, buenos aires,, Las Violetas, Palermo, sandwiches de miga, tortoni, traditional cafes, Typical food by Fierro Hotel Staff. Bookmark the permalink.